The Skalli family has deep roots in French viticulture and have been involved with grape growing in various regions throughout France. What's really neat is that in 1982 they established the very well known winery in the Napa Valley called St. Supery. 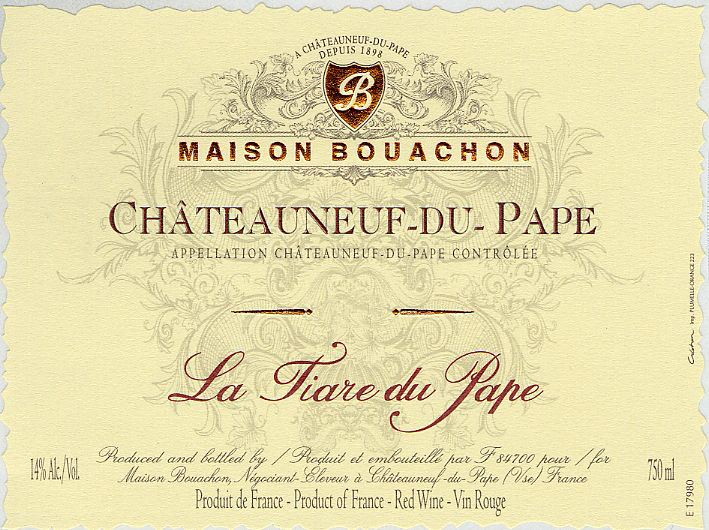 Although for much of their history in France the Skalli Family was mostly making wines in the Languedoc and on the island of Corsica, in the early 2000's they decided to purchase a century old wine company (Maison Bouachon) in Chateaunuef-du-Pape, in the Rhone Valley. The vineyard is currently planted to Grenache (60%), syrah (30%), Mourvèdre (approximately 7%), and other typical grape varieties (making up 3%, such as Counoise, Terret noir, Muscardin and Vaccarèse). 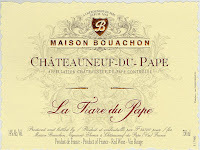 The wine is aged in French oak for 12 months before bottling. On the nose I get complex aromas of ripe black plum, wild raspberry, coco, crushed rocks, spice, black licorice, forest floor, and tobacco. It's a very deep and penetrating nose that evolves brilliantly in the glass. Like now I'm noticing some really interesting tea berry and prune notes as well. On the palate this wine is spicy and robust, showing flavors of blackberry, dark chocolate, mineral, over-ripe plum, crushed stones, dried sage, tar, and oak. The finish is long has some really nice ripe plum notes and some spice from the oak.